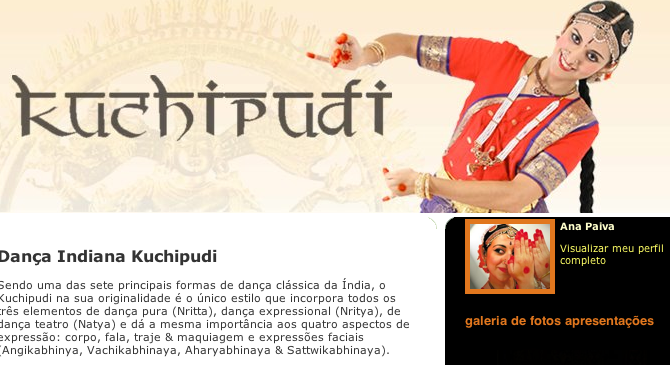 Stumbled across a blog of Ana Paiva, showcasing an upcoming dance presentation in Brasilia. Check it out, and turn on your portuguese-to-english translator. Ana is a talented kuchipudi dancer trained in India at the PK Salve Academy of Arts, where many practioners of Sahaja Yoga go to learn music and dance, with a spiritual focus. Meditation and ascent play a far greater role in the development of students as compared to other schools of indian performing arts.